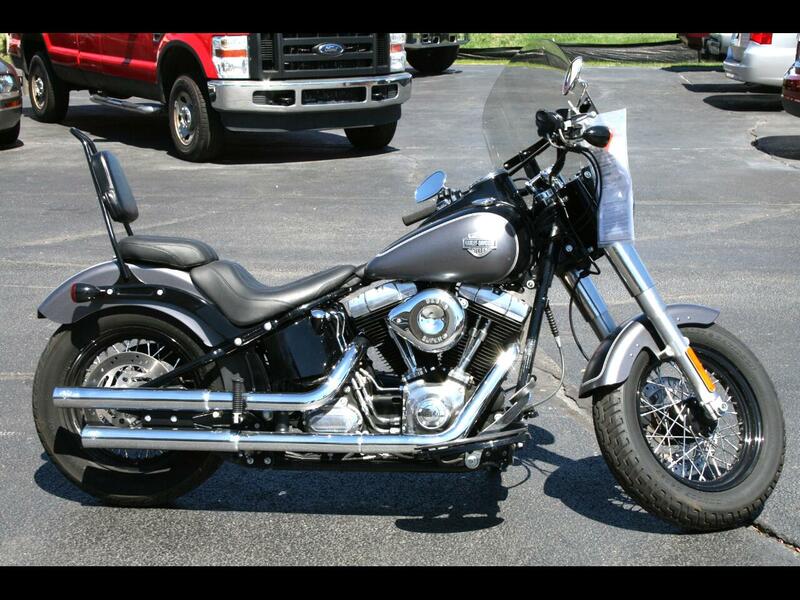 ONE OWNER 2015 HARLEY DAVIDSON SOFTAIL SLIM IN DENIM BLACK/GREY WITH VANCE AND HINES EXHAUST, TUNER, CUSTOM MUSTANG SEAT WITH SISSY BAR, QUICK DISCONNECT WINDSHIELD, AND ONLY 8900 MILES. Visit our website http://www.Championmotorcar.Com for more information and photos on this or any of our other vehicles or call us today for a test drive at 815-636-2500.We try and price evrthing on our lot the best value between 40 and 50 miles on cars.com. We service everthing also, by trained tech's. Most of all we truly thank you for visiting and/or considering our vehicles. If there is anything we can do for you please let us know. Thanks again for visiting us. Message: Thought you might be interested in this 2015 Harley-Davidson Softail Slim.